Fat transfer is a natural approach among cosmetic procedures and body sculpting treatments. This injection method of facial fat sculpting is called microlipoinjection and this can restore attractive contours to your cheeks, chin and under-eye area, as well as add volume to your lips. 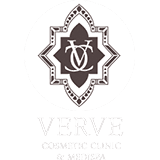 We offer the fat transfer procedure at Verve Cosmetic Clinics. Dr Alia Nasser is fully trained in fat transfer techniques and we recommend this procedure to improve the effects of deflation such as such temples, hollow cheeks, deep frown lines and thinner lips that can result from the aging process and as you get older. Fat transfer involves the removal of excess fat cells from different parts of the body with meticulous extraction methods and then re-implant the cells where they are needed. Microlipoinjection is a procedure in which an individual’s own body fat is used to plump up sunken areas of the face to add volume. The procedure generally involves three steps. The first step involves the gentle liposuction of some excess fat (such as that found in the buttocks, abdomen and thighs). The second step involves the isolation and cleansing of the fat cells. The third and final step involves the injection of the fat cells into the targeted facial areas to achieve the desired results discussed in the consultation. Does the Fat Transfer Procedure Hurt? The fat transfer procedure should not hurt patients as you will be under a local anaesthesia before treatment begins. This ensures maximum comfort for the patient and every effort is made to make the fat transfer process simple and as fast as possible. Some patients have reported a slight burning sensation and stinging during the procedure but this does not last long. Are there any Side Effects from the Fat Transfer Procedure? The side effects of fat transfer are minimal. But some patients might experience some redness, swelling and bruising after the procedure. This will dissipate within the coming weeks and with recovery. As you are using your own fat cells during this treatment, there is no risk of allergic reaction from the transfer, which means less side effects and there are no synthetic products used. You will be able to see the results of a fat transfer immediately, but you will be able to fully appreciate the final results after a few weeks. It is important to remember that every patient will experience different results with a fat transfer. The results can last for several months and longer for some patients than others. Is there any Downtime Associated with the Fat Transfer Procedure? There is minimal downtime associated with the fat transfer procedure. This means that you do not have to take any time off work for recovery and most patients can go back within one or two days. This means you do not have to change your schedule or your daily routine for fat transfer. Who are Suitable Candidates for the Fat Transfer Procedure? An individual must be in good health and not have any active disease or pre-existing medical conditions. In general, candidates for fat transfer are adults who would like to diminish or eliminate the appearance of wrinkles, ceases, smile lines or frown lines in the face. Fat injection may also be used for lip augmentation. It is a suitable treatment to restore volume to the lips, the nasolabials (outh to nose folds), under the eyes, in the cheeks, chin and temples. To learn more about this procedure and how you can benefit from fat transfer treatments, book a consultation with our leading female practitioner, Dr Alia Nasser, today. What is the fat transfer and what areas are treated? Fat transfer is the removal of excess fat cells from different parts of the body with meticulous extraction methods and then re-implant the cells where needed – to the lips, the nasolabials (mouth to nose folds), under the eyes, in the cheeks, chin and temples. Microlipoinjection, is a procedure in which an individual’s own body fat is used to plump up sunken areas of the face, or to add volume where desired. The procedure generally involves three steps. The first step involves the gentle liposuction of some excess fat (such as that found in the buttocks and thighs). The second step involves the isolation and cleansing of the fat cells. The third and final step involves the injection of the fat cells into the targeted facial areas. Are you a candidate for fat grafting? An individual must be in good health, not have any active disease or pre-existing medical conditions. In general, candidates for fat transfer are adults who would like to diminish or eliminate the appearance of wrinkles, creases furrows, smiles line or frown lines in the face. Fat injection may also be used for lip augmentation. For the initial fat harvest and transfer procedure, prices start at $3,500. Fat transfer only or a top up starts at $1,000.